The 12 track album includes eleven reimagined Beatles classics in addition to an original piece, “Abbey Road,” written as a tribute to the band. Each of the 11 reinterpretations include Baldwin’s characteristic jazzy sound with added accompaniments from musicians such as saxophonist Euge Groove and flutist Ragan Whiteside. Songs like “(Mellow) Yellow Submarine,” “Come Together (Can We All Just Get Along? ),” and “Yesterday” have been rewritten by Baldwin with urban-jazz arrangements. The album also includes multiple tracks featuring African American vocalists, including Lori Williams and CeCe Peniston. 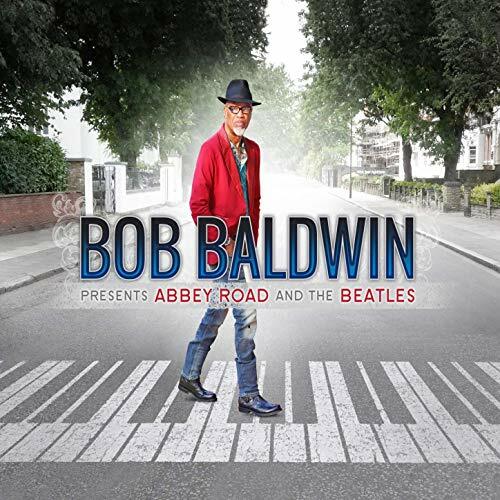 Bob Baldwin Presents Abbey Road and the Beatles showcases the talent of the celebrated jazz musician and marks his 30th anniversary as a recording artist. In addition to the release of this album, Bob Baldwin continues to engage with the musical community through his weekly radio program, “The NewUrbanJazz Lounge,” and his Atlanta-based music production company, among other entrepreneurial ventures. This entry was posted in Jazz and tagged Bob Baldwin, Bob Baldwin Presents Abbey Road and the Beatles, CD review, CeCe Penniston, Chloe McCormick, Euge Groove, Jazz, Lori Williams, Ragan Whiteside, Red River Entertainment, the Beatles by aaamc. Bookmark the permalink.